Description Resident Evil comes again.If you do not destroy them as soon as possible, mankind will face the threat of extinction.The major responsibility relies on you. Take action to save the world! 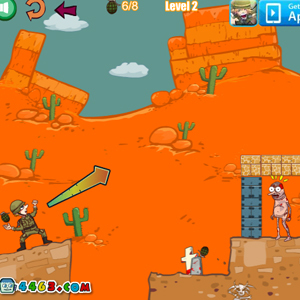 Controls Mouse to control the angle and power; Click mouse to throw bomb; R to restart level.